Heavy Haul Fred on the Wool sand & Clan Line. The 2014 Swanage Diesel gala. 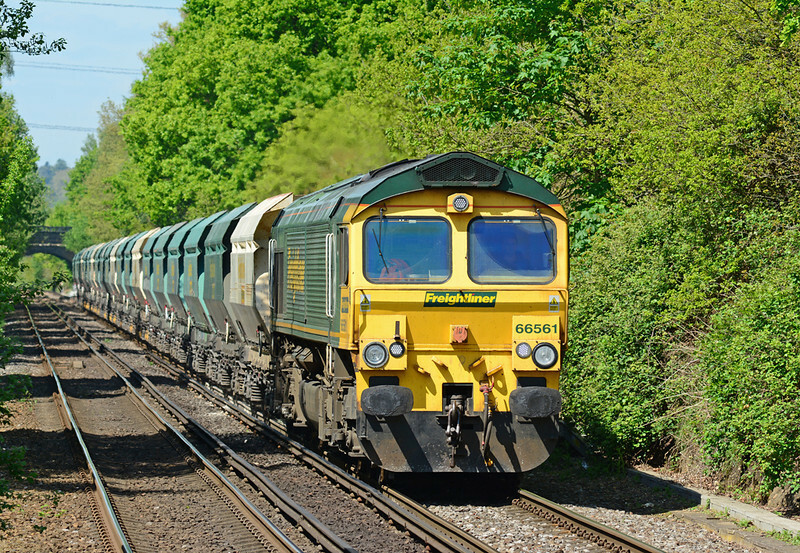 Freightliner 66561 is seen working hard on the approach to Addlestone, with the Angerstein-Wool hoppers 03/05/2014.